Andrew Clark and George Nairn have put together an enthralling collection of old photographs of Heaton and the east end, most of which are unfamiliar and come from George’s personal collection of picture postcards. 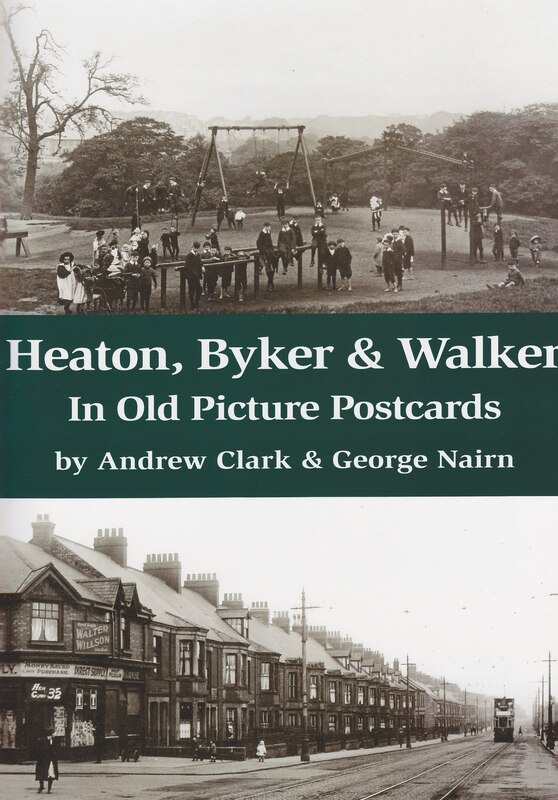 The accompanying text adds fascinating background to, for example, photographs of a royal visit to Heaton in 1928, when King George V and Queen Mary opened Heaton Secondary Schools (now Heaton Manor) as well as the Tyne Bridge, and there are particularly interesting sections on Armstrong Park and Heaton Station – or Heaton for Byker as the station sign once read. But perhaps the most interesting photographs are the interiors eg of Chillingham Road School and C A Parsons and the images of ordinary residential streets such as Holmside and Kingsley Place and Simonside, Cartington and Rothbury Terraces, little changed in many ways but so different without cars. The book, which is published by Summerhill Books (ISBN: 978-1-906721-75-6), can be obtained from a range of local retailers but if you buy it at one of our meetings, £1.49 of the recommended retail price of £4.99 will be donated by the publishers to Heaton History Group to help fund our programme of talks. This entry was posted in Research, Resources on December 15, 2013 by oldheaton. I grew up in heaton would love to join your group. Hi, if you click on Membership at the top of our home page, you’ll find the contact details of Jeanie, our membership secretary.